This NINO Rhythm set features 12 individual instruments. They are perfect for use in kindergarten, schools, or percussion groups. These collections of different instruments are the ideal way to explore the complete NINO world of percussion and rhythm. 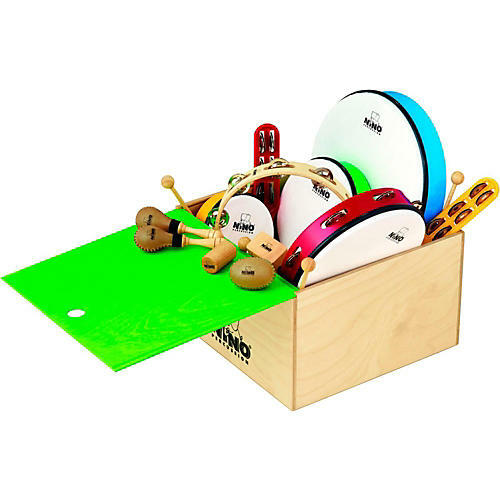 Included with this instrument set is a wooden box for storage. Whether played alone or with a group, the performance and sound quality of Nino Percussion instruments make them the ideal choice for young musicians and those who teach them. Nino Percussion offers an outstanding collection of musical instruments designed specifically for children to learn in the classroom or to play recreationally.